It does seem that every Argus report more recently I am rabbiting on about the latest working bee. I know, same, same but different. Well I won’t be rabbiting on too much……but I do need to always thank the generous people who give up some of their time to help look after the cliff environments. This time it was the You Yangs. Urinal Wall to be precise. With a grant that we were successful with in 2010 and then work postponed because of the floods and closures at the You Yangs, we have finally started the work. Contractors will be actually creating the small retaining wall at the base end of Royal Flush but we spent a couple of hours sourcing rocks from around the area to be used in the wall. With a small crew of 8 we waded through boneseed (gee, that plant was born to survive) and hunted for suitable sized rocks for the wall. I did tell Mark Rippingale that his injured shoulders would be safe as the rocks we were sourcing didn’t need to be as big as the Pharos stock, but everytime I looked they seemed to have bigger and better rocks. Who was I to tell them to go smaller. Steve Toal and his partner Paula had rocked up earlier to get a few climbs in and brought along a haul bag. Which I saw Paula using later, to great effect. As a backpack with rocks in it. 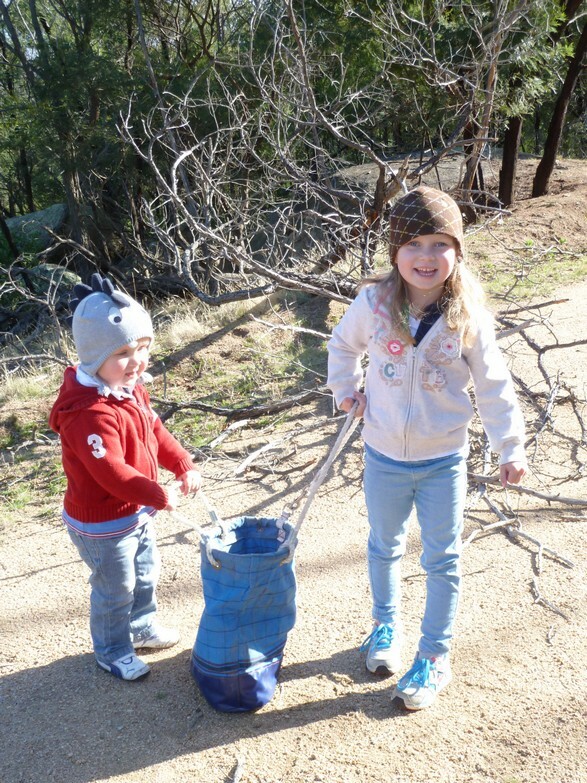 Mike Poore and his young family of two were there with chupa chups – as a reward for helping out. Wilhem the two year old seemed determined to collect as much dirt as he could on the chupa chup. For a 2 year old he was putting on a pretty good show walking up and down the slightly steep track to the cliff base. 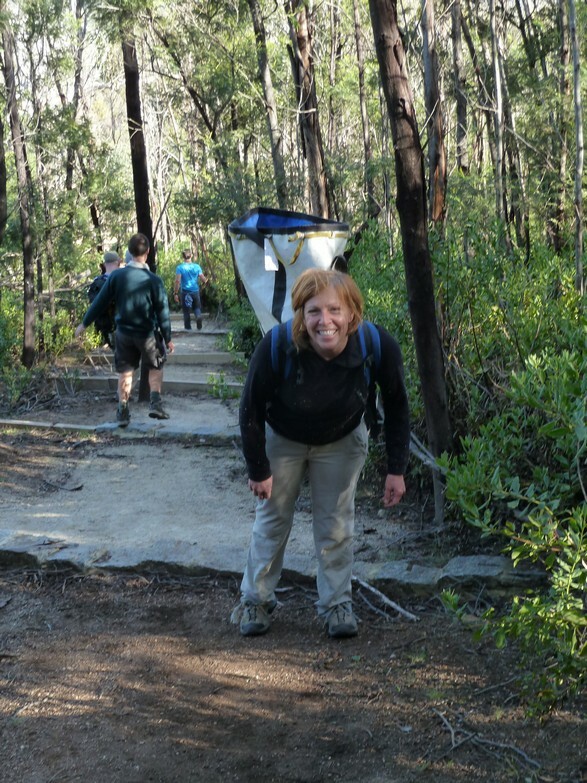 Recently I was invited to join the Grampians and Surrounds Stakeholder Roundtable which meets about 4 times a year as a representative of recreational users and the climbing community. Below is a basic blurb about what the roundtables aims are. It is sponsored by PV and DSE. As you will read, it doesn’t formally influence the policies as such but can impact on the way that the policies may be administered. What I think will be really useful is being able to work with other usergroups on these issues and also being able to deal directly with those that our activities can sometimes impact on. I see this as a really positive move. In order to truly represent the climbing community, it is important that I receive feedback from the climbing community. Whilst I try at all times to keep an ear close to the ground when it comes to the thoughts and needs of climbers, please feel free to drop me a line. 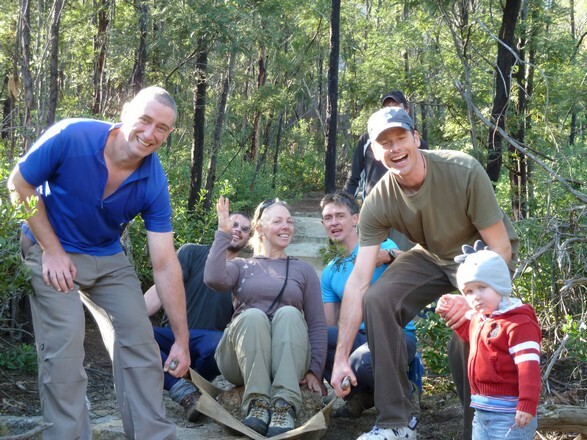 The Grampians National Park and Surrounds Stakeholder Roundtable brings together a range of people who are interested in, or impacted by planned burning and other land management practices. The Roundtable does not formally influence government land management policy, but it can influence the way policies are put into practice. 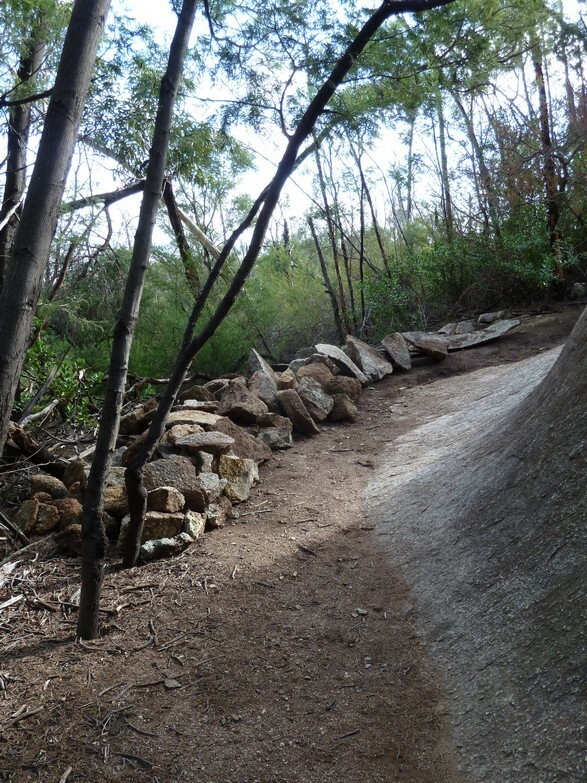 This entry was posted in Access &Environment officer reports, Grampians Roundtable, You Yangs and tagged grampians roundtable, parks victoria, volunteers erosion, you yangs by Tracey. Bookmark the permalink.